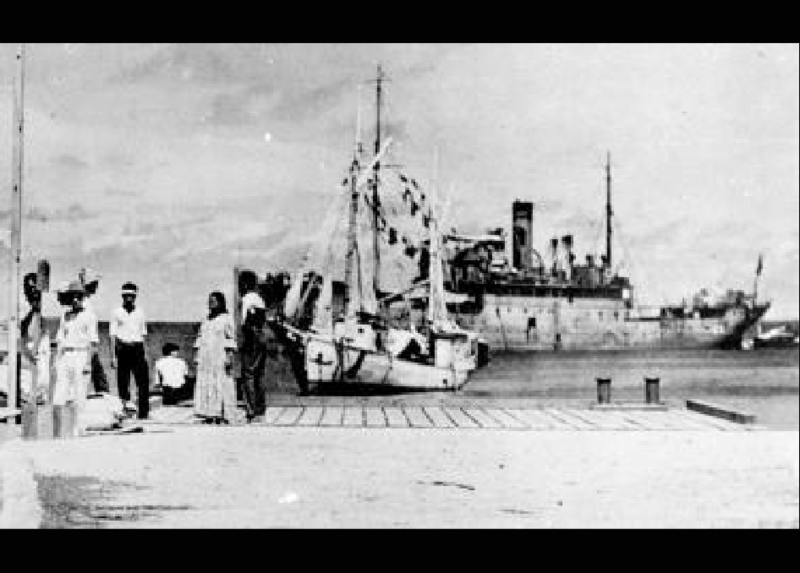 The recent flurry of news and controversy over History Channel’s purported ‘new’ evidence and ensuing Docudrama regarding a theory about Amelia Earhart’s disappearance brought back memories about our company’s involvement in the search. Amelia Earhart was an American aviation pioneer who disappeared over the central Pacific Ocean during an attempt to make a circumnavigational flight in 1937. Earhart received the Distinguished Flying Cross, which she was awarded as the first woman to fly solo across the Atlantic. She was also the first woman to be honored with this award. As an Indiana company, an aviator and history enthusiast myself, Earhart has naturally always been an inspiration. In fact, whenever I travel to the Los Angeles area I always try to fly through the Bob Hope airport in Burbank. There you’ll find a bronze statute and some interesting facts about Amelia and her use of that Lockheed airstrip back in the 30’s. As a small company, we sometimes recruit customers to assist us with manning our tradeshow booths. And so it was in 2007 that I asked Mark Smith from Oh Seven Films to join us at NAB Las Vegas. Mark was an early adopter of Panasonic P2 cameras and had been a long time user of our then popular videologger application, HDLog. So he was a natural to speak with potential customers on the show floor about his use of our products and emerging technology, etc. None of us knew Mark very well when we were making small talk at dinner one evening. He casually offered “I’m off to the South Pacific again next month.” He told us about his involvement in the search for Amelia as the videographer for The International Group for Historic Aircraft Recovery (TIGHAR). He proceeded to explain what a long journey it is to the small island of Nikumaroro, previously known as Gardner Island, where the group thinks she landed and was stranded as a castaway. Mark had been using our software to catalog the mountain of visual historical items from things like newsreels of the day, interviews with people involved in the preparations and logistics of Amelia’s last trip, and others offering opinions and documentary evidence over the ensuing years. The cache of materials filled several banker boxes and spanned various media types from film to videotape. All of it carefully indexed and cataloged with the help of our software! Smith had traveled to Nikumaroro with TIGHAR in 2001 on a similar research trip. “I made that trip with a BetaCam, two DV cameras, a very large box of videotape, a myriad support gear and an assistant,” the DP recounted. Smith’s 2007 equipment package comprised the two P2 HD cameras (the second HVX200 as back-up), an AJ-PCS060G P2 Store, a Macintosh PowerBook loaded with HD Log, three hard drives for storage, two wireless microphones, and grip/lighting package for outdoor use. Smith shot on 16GB P2 cards, off-loaded to the P2 Store as needed, and backed up everything after each day of shooting. Using HD Log’s P2 Offloading feature was “a blessing to be able to make 3 backup copies at once” of all the raw files from the P2 Store. Smith’s choice of format was 720 30pN, which he considered the best quality/drive space/ shooting time trade off. TIGHAR and Mr. Smith have been to the island several times in their efforts to find conclusive evidence. So far they’ve turned up only circumstantial evidence of an American castaway including the remains of several campfires, and U.S.-made items such as a jackknife, a woman’s compact, a zipper pull, and glass jars. Mark as it’s turned out has proven to be a great Beta tester for Imagine Products and a friend for over a decade – and he looks pretty cool flying a drone! Check out this video that captures an…. interesting moment during his adventure.